With built-in Excel Sales Funnel Template on Edraw Sales Funnel Diagram Software, designing a sales funnel couldn't be easier. You can convert the sales funnel template to excel format and edit the sales funnel template in excel. 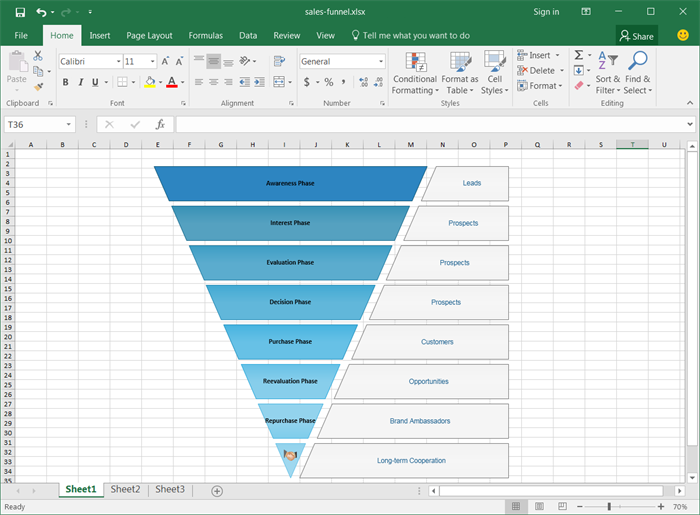 Just open a free sales funnel template available in the Edraw to draw a sales funnel diagram and export it to MS Excel sales funnel template. Note: all templates in the software are editable, you can change its color, theme and effect as you like.